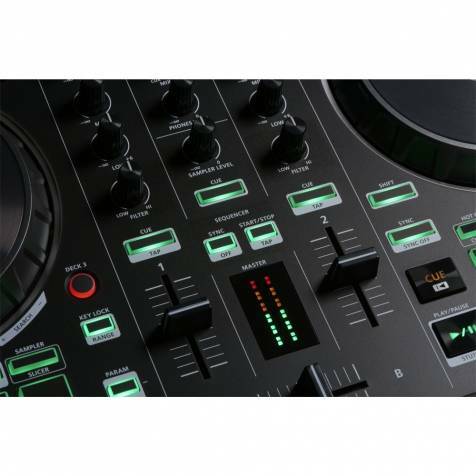 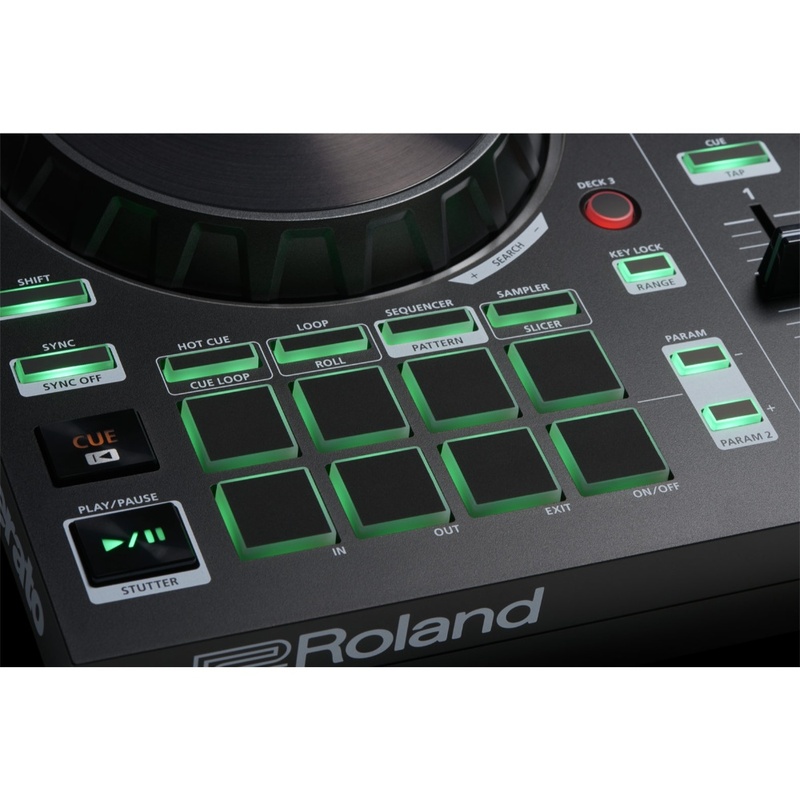 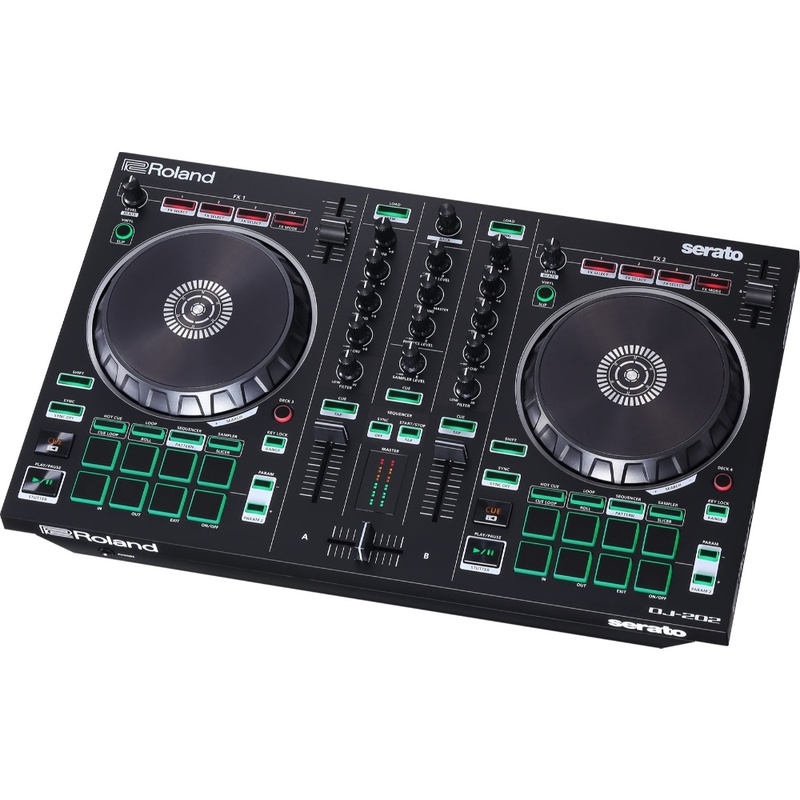 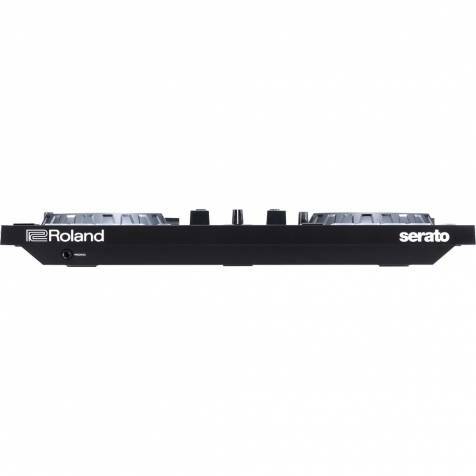 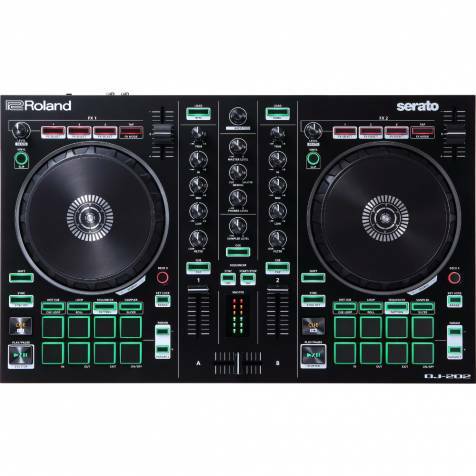 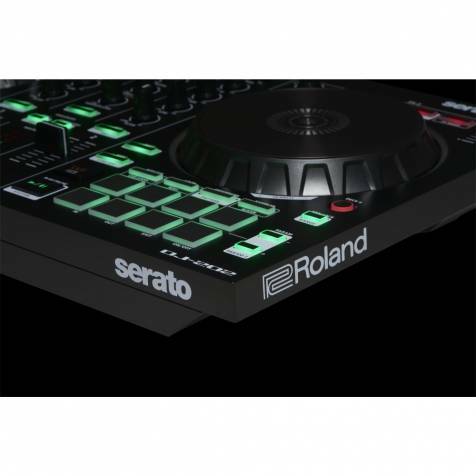 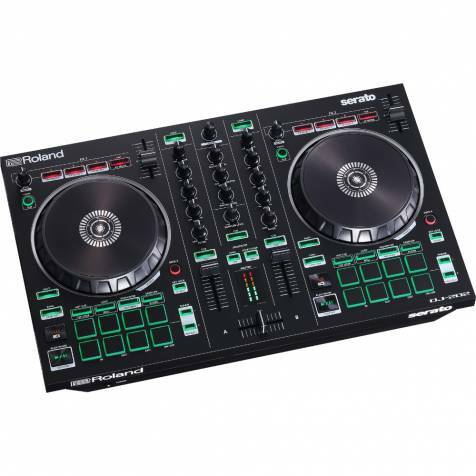 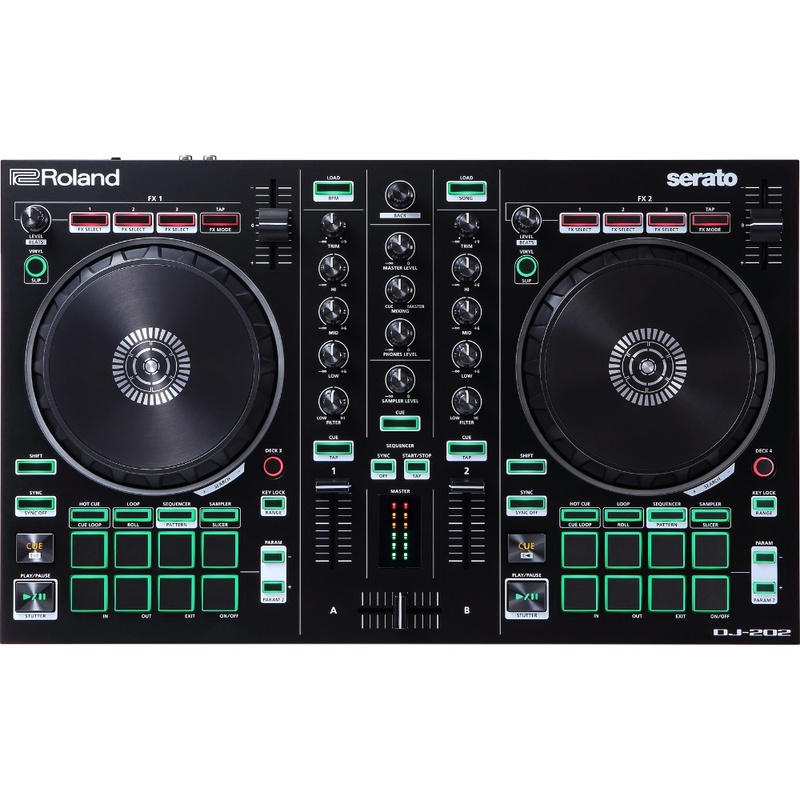 The Roland DJ-202 is a forward-thinking Serato DJ Lite controller that gives DJs the features and layout of a full-size professional controller in a rugged and portable unit. 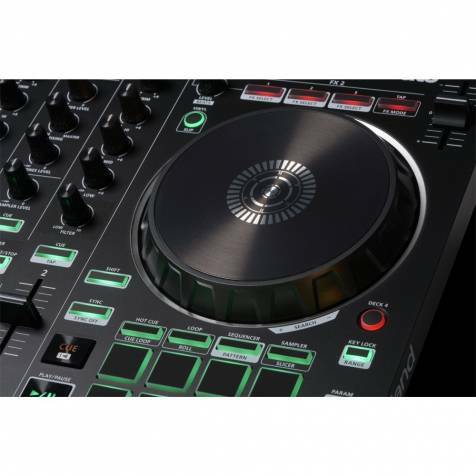 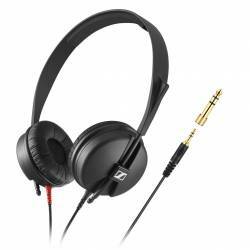 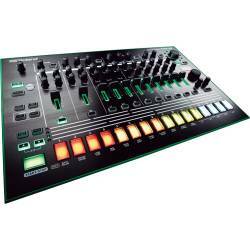 The compact DJ-202 preserves the concept of the flagship DJ-808 and streamlined DJ-505, allowing unparalleled flexibility to DJ, remix, and produce beats on the fly while performing live or creating in the studio. With its large, low-latency platters, dedicated pad and transport controls, onboard sequencer, and mic input with professional vocal FX, the DJ-202 packs in the most features of any controller in its class.